Care: Hand wash, shape, lay flat to dry; Gentle machine wash possible. 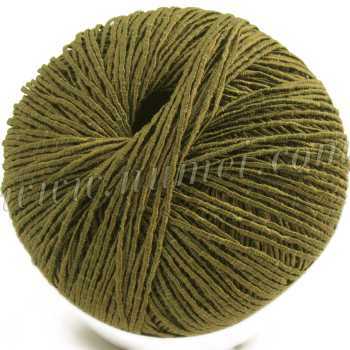 LP4 is a durable yarn suitable for home decor, table mats, item covers, bags, and accessories. It may also be used for stringing beads and jewelry. LP4 has a slant or bias when knit in stockinette stitch and hence should not be knit in stockinette stitch or similar stitch. LP4 works well in Garter Stitch or a stitch which will balance the slant/bias. It crochets beautifully and shows up crochet stitches well. In the picture shown, LP4 was used to make a cover for a disinfecting wipes container. Most disinfecting wipes containers come with designs that are less than desirable for the counter top. A simple cover crocheted from LP4 beautifies the container, and now you may place the container anywhere around the house!